Thank you to everyone who joined in with last month’s recipe – lovely to see some new faces too. All the creations looked yummy and there were some great variations involving different chocolate, apples and cinnamon. Congratulations to Sian at Pumpkin and Piglet who the random number generator picked as the winner of the lovely glass cake stand – enjoy! 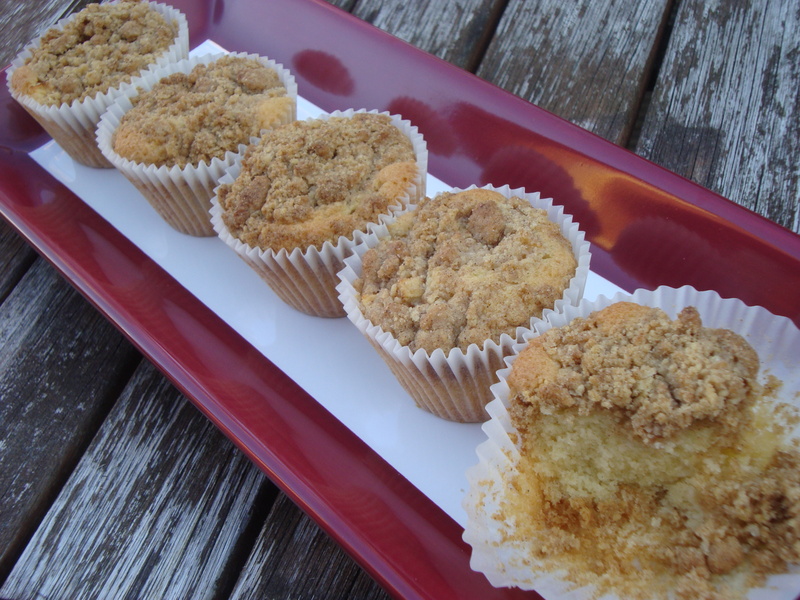 This month’s recipe is apple crumble cupcakes, which I came up with to use up some cooking apples I have leftover. If you don’t have cooking apples then I’m sure eating apples would work just as well, you may just need one extra for the recipe as cooking apples are generally bigger than eating apples. 1. 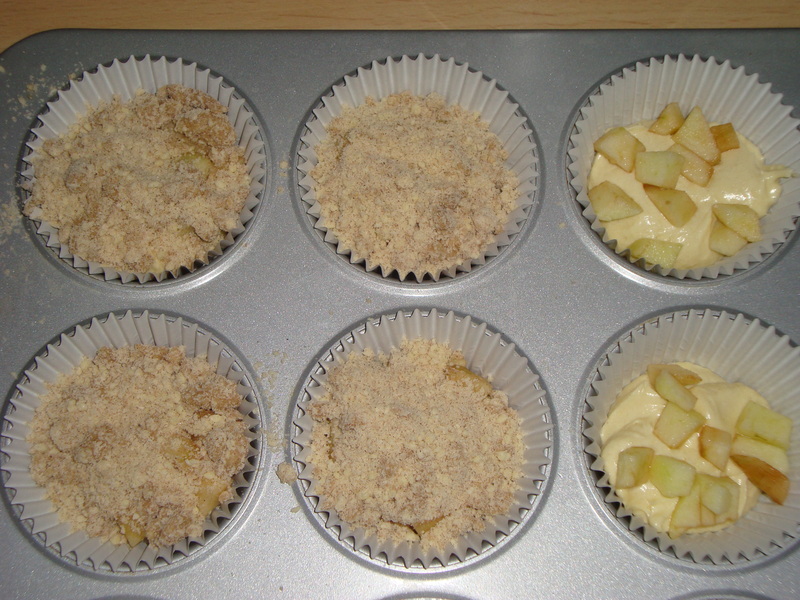 Preheat the oven to 180°C and place 12 cupcakes cases in a muffin tray. 2. Finely dice the apples and sprinkle with lemon juice to stop them going brown. 3. Next make the crumble topping. Sieve the flour and cinnamon into a large bowl. Dice the butter and rub it into the flour with your fingertips until it resembles breadcrumbs. Alternatively place the flour, cinnamon and butter in a food processor and blitz. 4. Stir the demerara sugar into the crumble mix and set the bowl aside ready to sprinkle over the cakes later. 5. 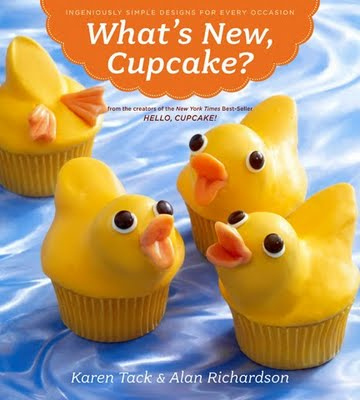 Now make the cupcake bases. Cream together the margarine and sugar until light and fluffy. You can either do this with a wooden spoon or in a food mixer. 6. Beat the eggs in a separate jug and add them a little at a time to the marg and sugar mix. It helps to stop the mixture curdling if you add a spoonful of flour to the mix each time you add some egg. 7. Once all the egg has been incorporated, add the flour and fold in with a metal spoon. Alternatively, mix with your food mixer. 8. Divide the cupcake batter between the 12 cupcakes cases – each one should be about half filled, maybe a little less. 9. 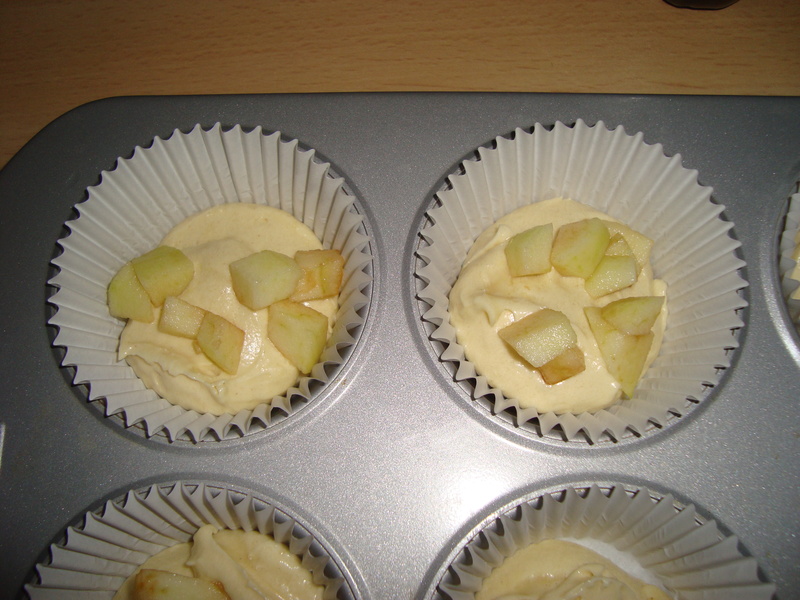 Next sprinkle some diced apple over the top of the cupcake batter. 10. Now add a tablespoon of milk to the crumble topping and mix. Then sprinkle it over the top of the cakes. 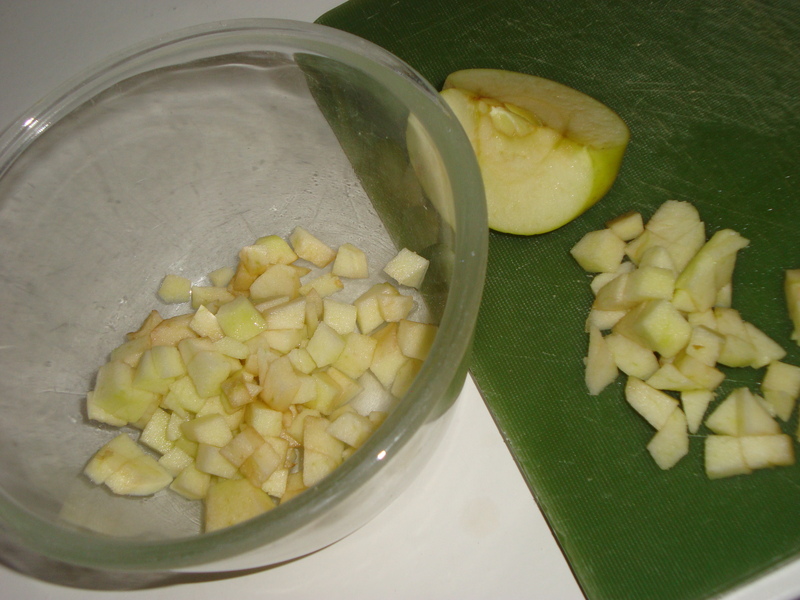 I found I had quite a bit of topping left over, which I used to make some mini apple crumbles. But you could freeze it to use at a later date. 11. Bake for around 20 minutes until the cakes are golden and cooked through. The tops should feel springy when pressed lightly. 12. Leave to cool for 5 minutes in the tin then transfer to a wire rack. They are delicious served warm with cream or ice cream, or once cooled with a cup of tea. The cupcakes keep well in a tin for a few days. Don’t forget to add your photos to the Flickr group and blog your yummy creations. Grab yourself a blog badge from the sidebar too if you’d like. I will put up a Linky on Thurs 23rd Sept for you to add your blog post links to, which will stay open until 8pm Thurs 30th Sept. Then I will pick one random baker to win a copy of the bestselling book What’s New, Cupcake? Previous postThe Knitter's Year - Debbie Bliss Next postHow does your garden grow? They sound scrummy. Presumably this could be made as one larger dessert type cake but just cooked a little longer than for cupcakes. Yes, you could easily make it as one large cake instead of cupcakes. Yay – another new recipe to try!! 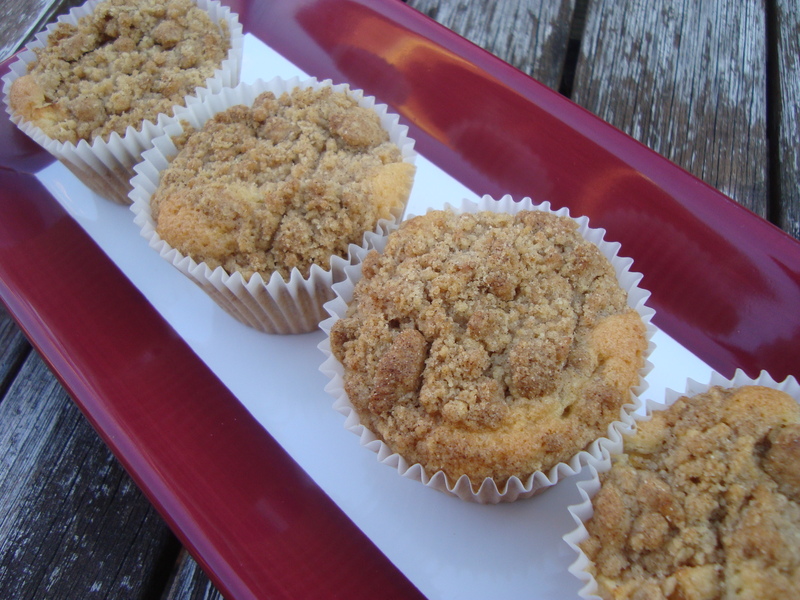 Apple crumble is one of my fav desserts, so I should really like these! These sound so good! Didn’t get the chance to take part last month but will try and make sure to set aside some time this month to do these. Very excited! Mmmmmm scrum!!!! A fine looking seasonal recipe. Might have to scrump a few apples from the neighbour’s tree for this!!!!!! Oh wow, they sound and look yummy! What a great recipe and a very nice blog. They were really yummy, posted on my blog and got comments from people who agreed with me! Dont have caster sugar here-what would you use instead? Confectionary sugar? Hmmm…. I would have thought confectionery sugar is more like icing sugar. Do you have any kind of cane sugar?